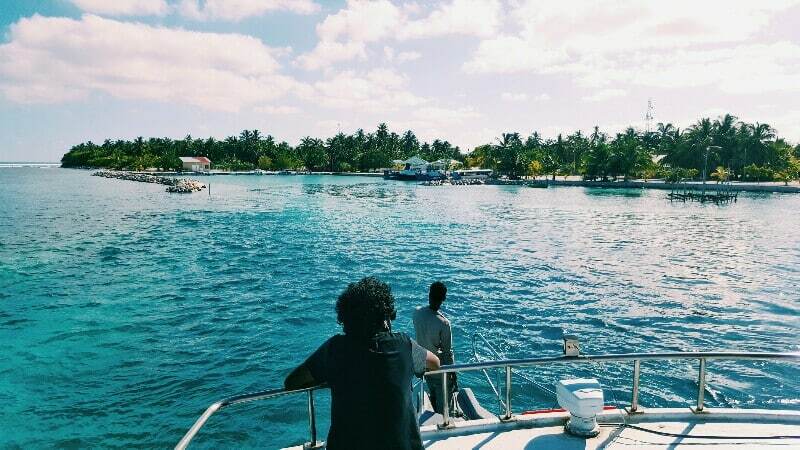 Being so well looked after in Madaveli, it was tough to prize ourselves away this afternoon and catch the atoll ferry down the reef to Nadellaa. After stowing our bags and matching pink bicycles (well how did you think we were getting around? ), Dan headed up to the roof to check out the view. 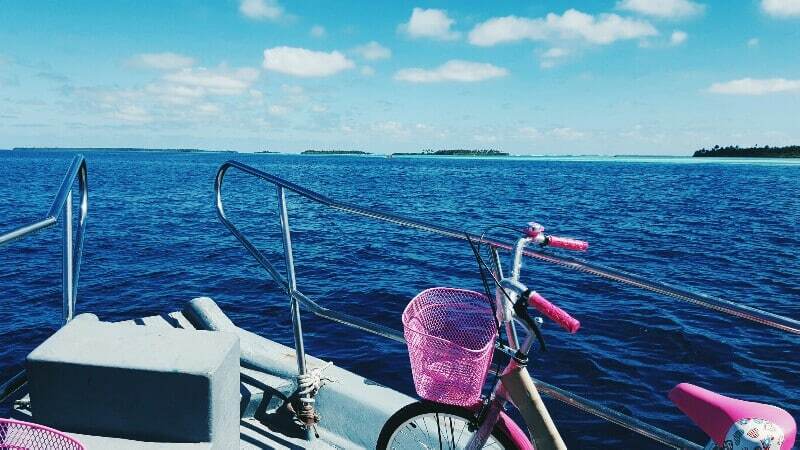 Between Madaveli and Fiyoari lies an unbroken reef stretching 35km, with 84 islands. Just three are inhabited. Nadellaa is the middle one, and from first impressions (I think we always say this), it looks wonderful.